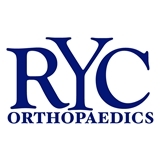 RYC Orthopaedics, P.C. (New York) - Book Appointment Online! The mission of our practice is to provide the highest quality orthopaedic, sports medicine, joint reconstruction and spine care utilizing an individualized and aggressively conservative approach. We recognize that every patient has a unique set of problems but a common goal of improving their quality of life and restoring a high level of activity. We strive to offer these patients every opportunity to succeed and improve with non-operative treatment. However, if surgery is required, we strive to offer cutting edge procedures and uncompromised, meticulous care in the setting of an atmosphere dedicated to academics and research. Dr. Rose is highly professional. The staff are friendly and helpful. I Thank them for the quality care and would definitely recommend Dr. Rose to family and friends. It is always a pleasure to go to a doctor's office where a straight answer is forwarded. Dr Youm listened my comments re discomforts, immediately diagnosing the cause of the problem with suggestions for possible self medication. DR Youm has excellent bedside manner with precise questions to learn of my condition. His staff at front desk also great, very professional and courteous with time for those that need to get to work after the office visit.